I understand by ticking the box I have given consent to add my personal information to the event database and that I will receive communication regarding the event by email. I understand I can withdraw my consent by unsubscribing at any time. The Energy in WA Conference is the State’s premier energy event, offering excellent speaker programs and value for money since 1996. The 2019 theme is Delivering in Uncertain Times. Speakers will assess the state of play on a range of energy matters, such as fuels, technology, market and legislative developments, supply and security, emissions, and consumer trends while looking to the future. Delegates can look forward to thoughtful sector analysis and a “think tank” approach to panel discussions. Proudly hosted by the Australian Institute of Energy (Perth branch) and the Department of Treasury, (Government of Western Australia), the highly popular conference is organised by the local energy industry for the local energy industry. Prominent state, national and international speakers are chosen to provide new perspectives on current events and topics relevant to the Western Australia energy sector. The event provides excellent networking opportunities, with more than 200 participants attending the 2018 Conference. Industry sponsors have consistently supported Energy in Western Australia. 2019 sponsorship opportunities will be available soon — contact Promaco Conventions on 9332 2900, or email: promaco@promaco.com.au. The Energy in WA Conference sees a diverse group of Energy Industry Professionals attending the conference each year with delegates attending from a range of sectors within the industry including Energy Retailers, Consultants, Energy Providers and Government Services. Industry professionals attend with a wide range of experience at every industry level. The graphs below contain figures on the industry experience, industry level and industry sectors of the Energy in WA 2018 Delegates. The 2019 Energy in WA Conference dinner will be held at Fraser’s Restaurant. Fraser’s Kings Park is located in the tranquil surrounds of Kings Park and sits high above the city with views of Perth and the beautiful Swan River. The Conference Dinner is included with a full conference registrations. The evening provides fantastic networking opportunities and a delicious three course meal and beverages. The Closing Function will be held at Hyatt Regency Perth after the conference closing. The function will provide an opportunity to network with fellow delegates over canapés and drinks. Networking opportunities – The two-day conference provides a number of opportunities to network with potential clients and partners in the industry. Many of the sponsorship opportunities include a registration to the conference ensuring your networking time is plentiful. Attendee Experience-Level – Over half of all conference attendees are in a Senior Manager role within their organization, providing fantastic exposure to some of the leaders within the industry. 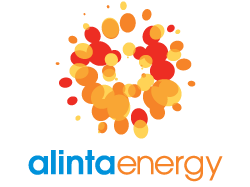 Attendee Industry Background – Energy in WA attracts a range of energy professionals including but not limited to Consultants, Energy Generators, Energy Retailers, Energy Infrastructure and Government Services. You can engage energy professionals from almost every background at one conference. There are many attractive and high value sponsorship and advertising opportunities available to ensure that your organisation stands out at this premier event, which will be attended by your target market. For further enquiries please contact the Conference secretariat on +61 8 9332 2900 or email promaco@promaco.com.au who will be pleased to provide you with details of the best marketing package for your needs and budget.